The pads are paper thin, and have a very subtle scent. They pack the same amount of salicylic acid (2%) as the Clearasil pads but they felt a bit drier to the touch. 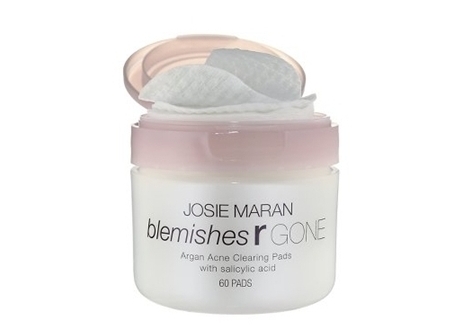 The packaging, a sleek pale pink-and-white jar, felt more luxurious, as does the product’s ingredient list: like all of Josie Maran products, Argan oil is a star ingredient, sourced from trees in Morocco and included to help retain moisture in the skin. The pads are also free of parabens a common preservative that the FDA deems safe, but some studies have linked to breast cancer tumors. These zit-treatment pads from Clearasil, a name that’s synonymous with acne treatment, feel a lot more clinical than those from Josie Maran. The thick pads are super saturated with liquid and carry the strong scent of alcohol—a quality that is both off-putting sensorially and comforting psychologically—the medicinal stink can make it feel like it’s working hard on your biggest blemishes, you know? The formula contains parabens, but is significantly cheaper than Josie Maran’s Argan version, packing 30% more product at half the price. In less than a week, the Clearasil pads made my skin noticeably less red and eliminated one particularly evil zit that was festering on my face. 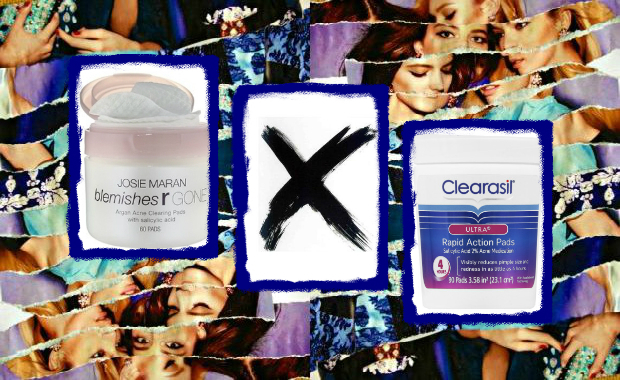 The Josie Maran product was a bit gentler and took a little longer to work. For those with sensitive skin, concerns about parabens or looking for a more lux experience, the Josie Maran product might be the better choice. 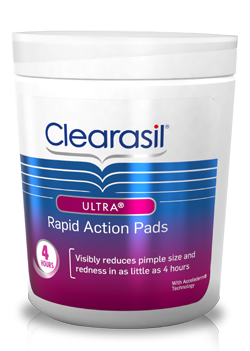 But when it comes to pure acne fighting power at a nicer price, the Clearasil Ultra Rapid Action Pads is the clear winner.